An hour initial consultation with our sales team. A draft submission for approval and corrections. One final draft before deploying. cPanel setup. *This Special Offer has many upgrade features, if needed for a larger project, at additional cost. To talk to one of our team members about your project and to request a quote, please send us the details and best time to contact you. Web Design offers you the best customer experience in getting your website crafted, designed, coded, and online. All of our designs are custom made and built on the WordPress platform. We provide you with full ownership of your website once it is paid for so you can take it anywhere. Tell us your vision and you can sit back and let us create your impressive, responsive website. How does Web Design Service work? 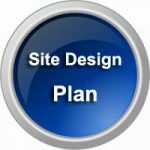 Once you complete your website consultation with one of our design experts, we provide you with your available package options, add-ons, and timeline for your website. We don’t stop here either! You can reach out to us at any time to make changes, review our work, and discuss progress. We’re here with you every step of the way to get your website launched and ready. Each website design is unique and focused on catering to your business needs. Pricing will vary depending on the package that will work best for your online presence. Our pricing starts at $3,000 and includes first year domain name registration (if applicable) and 1 free year of hosting. How much of a say will I have in the graphic design process? Once we create your design, you will have 2 intensive review opportunities to go over the design work and provide feedback. These review sessions allow you to take in the design and critique it to fit your perfect vision for your website. Which Hosting Plan do I get? Our purpose is to make sure you get the best hosting plan that fits your growing business. We include one year of free Professional Hosting with all of our web design plans. However, if your business grows, or your needs change you have the option to change your hosting plan to one that suits your business needs. We offer E-Commerce, VPS-Cloud and Dedicated Servers for larger online businesses. Add-on options such as logo designs, images/photos, additional pages and forms, blog integration, calendar of events, and more!